Fifth grade teacher Ms. Johnson begins class by naming the lesson goal: to write an essay that includes the fundamental elements of persuasion. She displays criteria for good work on the whiteboard and gives each student a checklist of grade-appropriate elements of persuasive writing. She then asks students to take a moment and think of their personal goal for this essay and to record that goal in their writing journal. Soon, students are busy writing their essays, referring to the checklist often as they work. Ms. Johnson circulates, observing and checking in with students. In school, the word “assessment” is often linked to testing, grading, and ranking. But, as shown in Ms. Johnson’s class, self-assessment is also tied to goal-setting, which begins with students realistically assessing where they are and then deciding on a meaningful and realistic goal they want to reach. And that’s a skill students can use throughout their lives. What are the benefits of self-assessment? Develop valuable lifelong skills, including the ability to think critically about their own work; know themselves and their learning styles; reflect on their individual strengths and challenges; and measure their progress toward goals. Become autonomous learners who take responsibility for their learning and become actively engaged in the academic life of the classroom. Develop a growth mindset. Regular use of assessment tools promotes what social psychologist Carol Dweck calls a growth mindset—the belief that basic qualities (such as the ability to learn new things) are not fixed, but can be cultivated through personal effort and persistence. Students with a growth mindset want to improve; they seek out learning, stretch themselves, and develop more effective learning strategies (Dweck, 2010). Build resilience. Self-assessment helps students understand their learning process and consider how to take on learning challenges. Faced with a difficult task, they think about strategies they’ve used in the past to grapple with new material, increase concentration, or keep going when things get hard. They then decide how to apply those strategies to their current challenge. As a result, they become stronger, more resilient learners. When is the best time to have students set goals and self-assess? Many teachers who use the Responsive Classroom approach begin the year by asking students to articulate hopes and dreams (or broad goals) for the year’s learning. Taking the time to reflect with students on broad learning goals opens the year with a message of possibility and growth. It also sets a tone that helps them feel invested in setting and working to achieve specific learning goals throughout the year. Goal-setting and self-assessment should be an ongoing process. Although you will set lesson-by-lesson goals, often in accordance with district or state standards, students can have a voice in setting their own learning goals. In your opening to a lesson, encourage students to consider what they want to practice or learn and to set a personal goal for each lesson. For example, Ms. Johnson named a lesson goal—“To write an essay that includes the fundamental elements of persuasion”—and then asked students to set personal goals related to that larger goal. 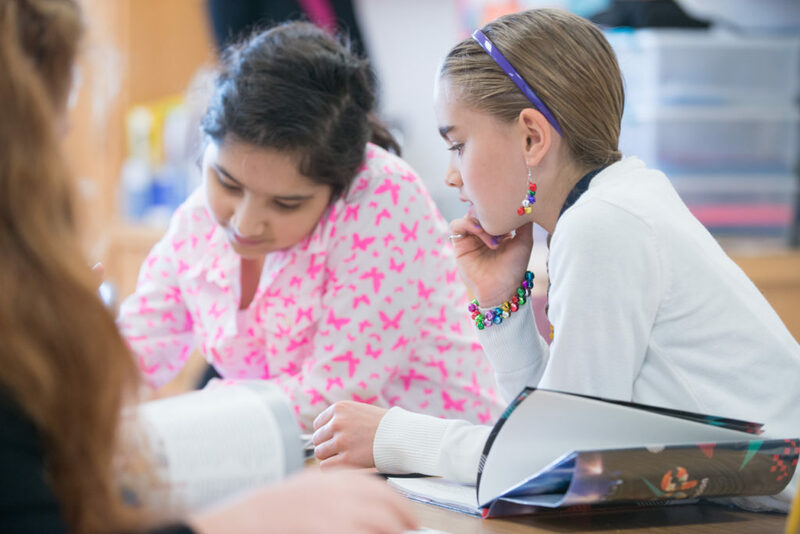 As students work toward their goal, their periodic assessments can help them know if they’re on the right track or if they need to adjust course or refine their goal. Once their work is compete, students can use self-assessment tools to reflect on their own learning in response to prompts that you provide. This process reflects the natural learning cycle of generating ideas and goals; actively exploring, experimenting, and problem-solving; and reflecting on experiences. Checklists serve as useful reminders of specific expectations and can help students stay focused and on task when working independently on assignments. Students can only be reminded of what they already know, so be sure your checklists contain items that you’ve already introduced to them. Through self-assessment, students begin to recognize for themselves what they don’t know, and what they want to know. They become aware of their own strengths and challenges and are more familiar with their beliefs and misconceptions. And when students know themselves better, their learning deepens. They’re apt to set higher goals for themselves, become more self-motivated, and demonstrate more perseverance toward reaching their goals. In other words, they become engaged learners. With each strategy, you’ll find suggestions for implementation, examples from classrooms, and lesson ideas to help you make students’ learning active, interactive, relevant, and exciting. Try these strategies and watch your classroom become one where the light of learning burns brightly for every student. Have a growth mind set help the student to be resilient.